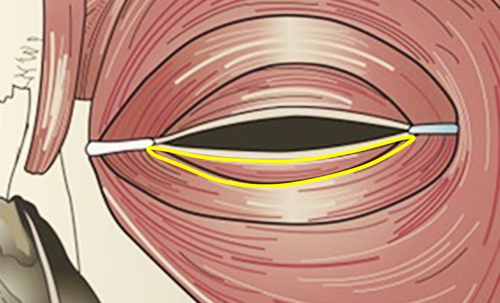 Pretarsal roll means the fat area just below the lower eye line. has distinctive pretarsal roll. It is more visible with smile. 01. (form) Pretarsal roll creates cuter, younger and softer image. 02. (function) Pretarsal roll supports under eyes, therefore it prevents saggy or turned out under eyes. If pretarsal roll is not strong, it can be reason of sclera show, it can be improved with fat injection. 03. (wrinkle) pretarsal roll improves skin elasticity, it works for fine on under eyes.